It is the most devastating economic event to ever befall a single generation of Americans. Once it does, life savings will be destroyed, millions of people will be dragged back into the workforce, and a core component of the American Dream will be exposed as a lie. 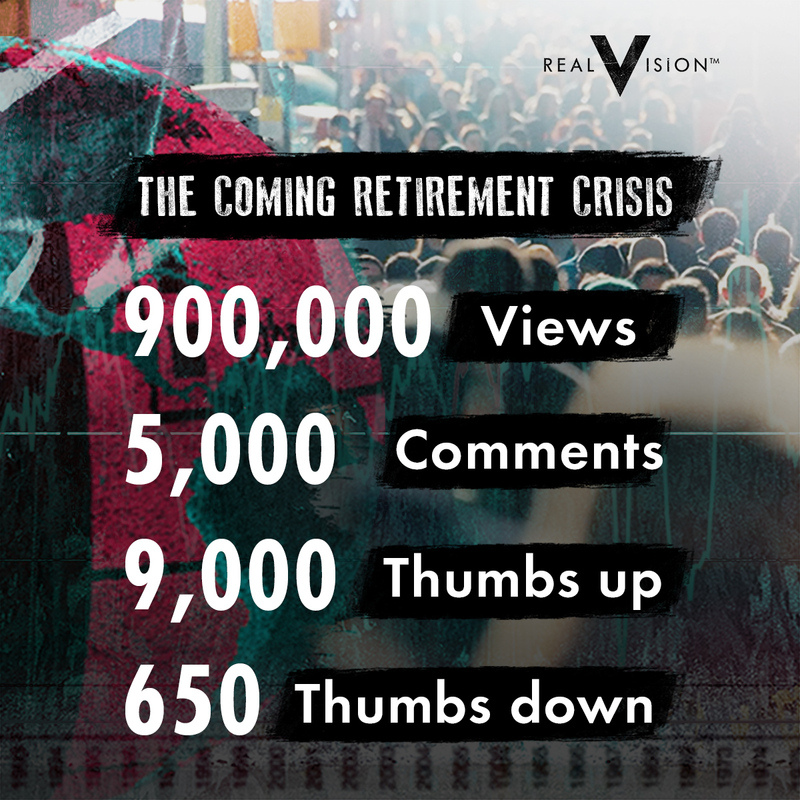 This coming catastrophe is America’s Retirement Crisis, a feature documentary film from Real Vision. Worries about the state of retirement savings are not new. But here’s what most don’t know: After a phenomenal decade, markets appear perfectly primed for a massive fall. A recession and market crash may both be around the corner. And since many Americans’ retirement portfolios are far too risky, these widely expected events will widen a retirement shortfall into a gaping chasm. The American Dream of a care-free retirement will prove, just that, an unrealistic dream…. How did we get here? How bad could it get? And what can we do about it? 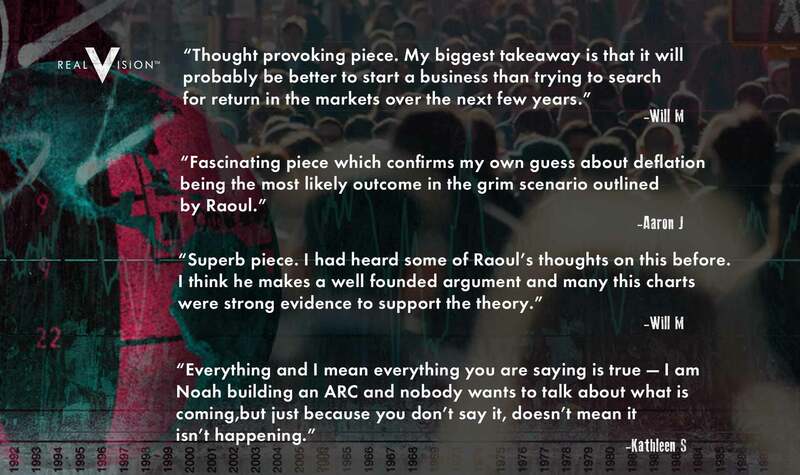 Famed investor, researcher and financial forecaster Raoul Pal answers those questions and more in Real Vision’s upcoming documentary. By speaking to diverse groups of people across America, some of whom are weeks away from retirement, and others who have already retired, he lays out the problems and presents his compelling solutions. There is hope. But the first step is to forget all the lies that we have been told. After that, we can be honest with ourselves about what we must do in order to survive. Drawing on his widely watched presentation, “The Coming Retirement Crisis,” Raoul has made it his personal mission to save a generation of investors who have been used and abused by the financial system. After all, it takes a former insider to show the world just how badly they have been duped by the financial system. This documentary is vital viewing for the millennial generation and their retiring parents, before it’s too late. The feature length documentary, “America’s Retirement Crisis” will explore this hot button, multigenerational topic with the country’s leading experts, and present relatable, character-driven stories of the shattering of the American Dream, while offering clear, actionable solutions. In a bid to educate a wider audience on this looming crisis, “The Coming Retirement Crisis” mini documentary was published on YouTube and has generated 900,000 views.